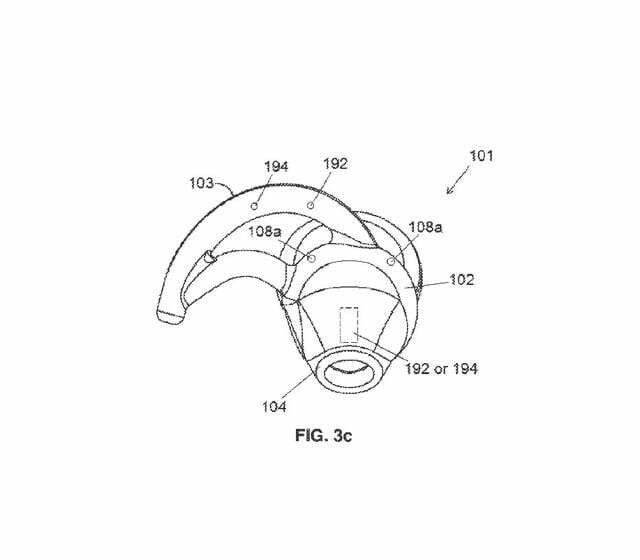 On February 8, we spotted a new patent application from Bose, called “Earbud Insertion Sensing Method With Infrared Technology,” and it points the way to a series of improvements for the company’s earbuds. According to the patent, the chief benefit of incorporating IR tech into its earbuds is to extend battery life by deactivating the earbud if it’s not actually placed in a user’s ear. Forgetting to turn off the power on your earbuds when you’re done listening is easy enough to do. If your buds can only keep the tunes rolling for five hours before needing a boost, finding yourself without power on your homeward-bound commute is probably something more and more people are encountering. One week later, on February 14, the USPTO published what appears to be a companion patent application, this time detailing how a capacitive sensor (instead of an IR sensor) could be used to accomplish the same thing. Apple has had this kind of feature baked into its AirPods since launch, whereas Bose’s own truly wireless Soundsport Free earbuds do not. 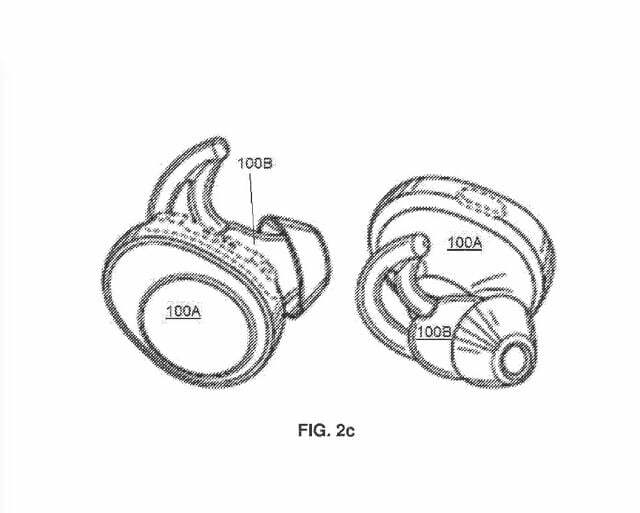 Even if this was the sole improvement allowed by the patent’s description of IR, it would be a big plus for future Bose earbuds, but it’s not. The patent goes into exhaustive detail, describing several scenarios in which having both an IR transmitter and an IR receiver in the same earbud could be useful. Some of these make a lot of sense, like determining how well seated the earbud is, and then automatically adjusting things like volume and EQ to compensate. Theoretically, it could also alert you to the fact that the earbud isn’t ideally seated and is much more likely to pop out accidentally and get lost. Which brings us to one of the stranger scenarios that Bose envisions. Apparently, these IR sensors can be set to emit a specific pattern of signals that could be used to help you find a missing earbud, by using your phone (if it has an IR receiver) or the remaining earbud that can hear the SOS signals sent out by its lost mate. Strange as that sounds (and we suspect of limited use if one of your buds becomes lodged between the couch cushions) it’s perfectly in keeping with Bose’s existing lost-earbud finder feature in its app. Currently, the app will show you the last known location of the earbuds on a map, but a more localized solution would obviously be better. It’s not clear to us why Bose thinks that using IR for this feature would be preferable to using Bluetooth — after all, that’s the tech behind actual location trackers like Tile — but perhaps IR requires less power, and can, therefore, signal for a longer period of time. Bose also sees potential in having outward-facing IR receivers on the earbuds, for situations where a user might be in the vicinity of infrared audio transmitters (frequently used at events where real-time translation earphones are worn). And though the patent doesn’t state this explicitly, we can’t help but consider the potential health-monitoring implications of having IR capabilities within a set of earbuds. They certainly wouldn’t be the first earbuds to do so and it’s suspected that Apple will be adding this feature to its own AirPods update. 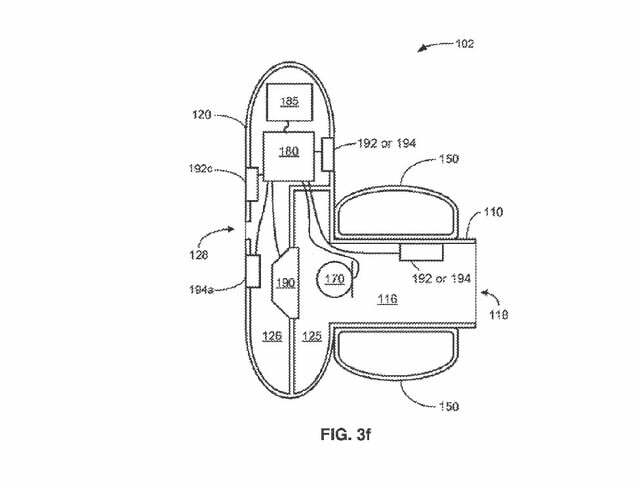 What the two patents make clear is that Bose is pursuing multiple ways of enhancing both the battery life, and other features of its wireless earbuds, which should lead to some interesting product launches in the not-too-distant future.